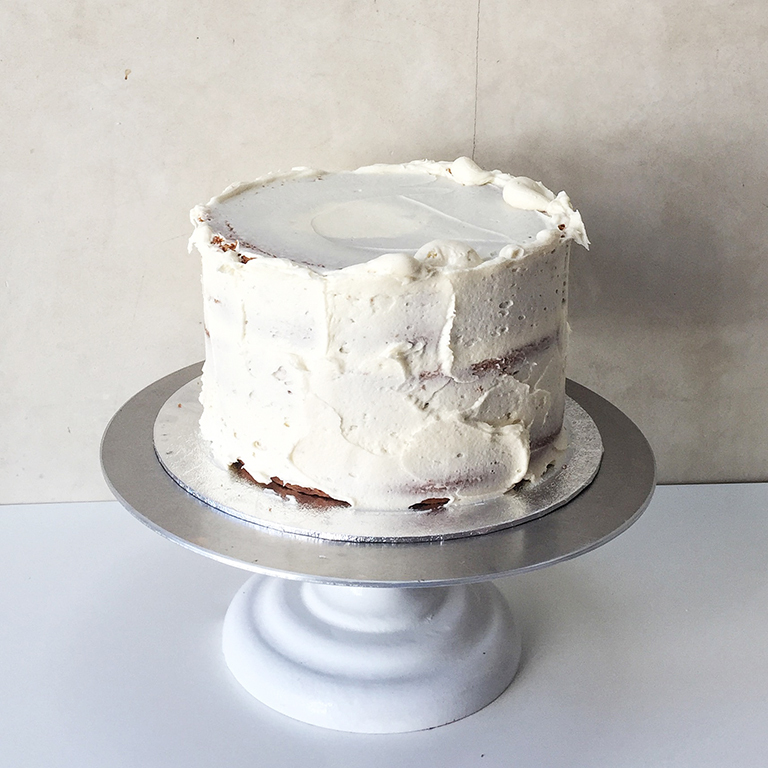 This guide shows you how to crumb coat a basic layer cake with buttercream, but of course you can add any extras like jam, caramel or fresh fruit between your layers. 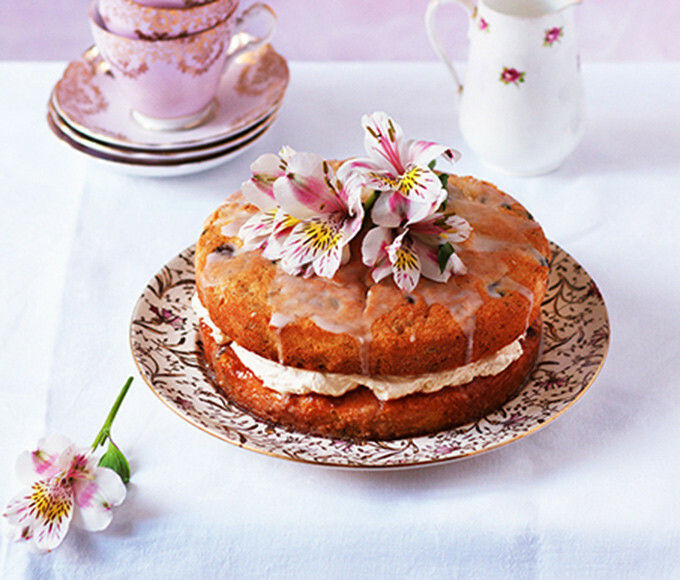 It may take up a bit of time, but this stage really is crucial if you want to achieve a perfectly iced cake. 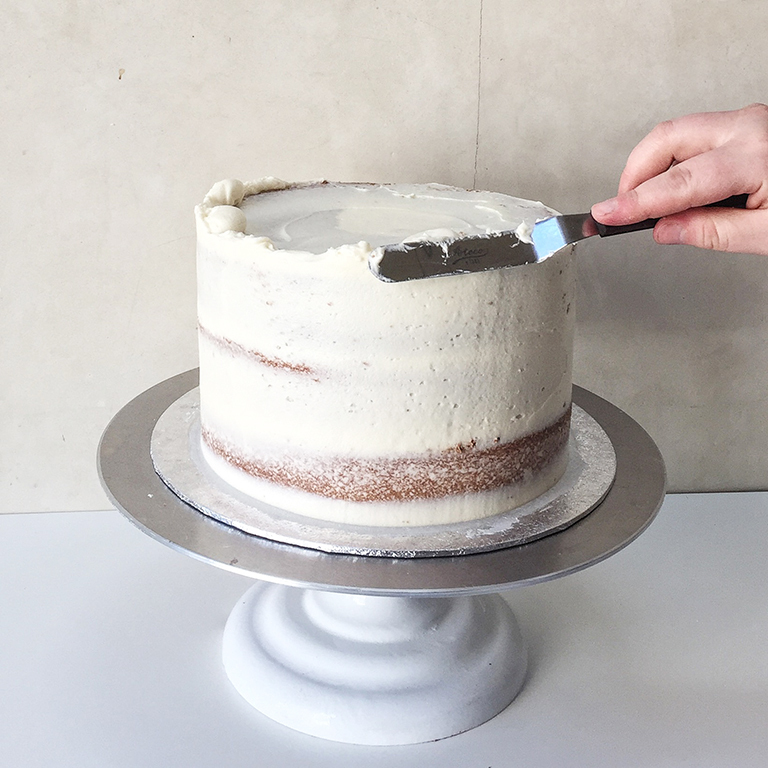 A crumb coat is the first layer of buttercream icing — it is an extremely important step in decorating a cake. 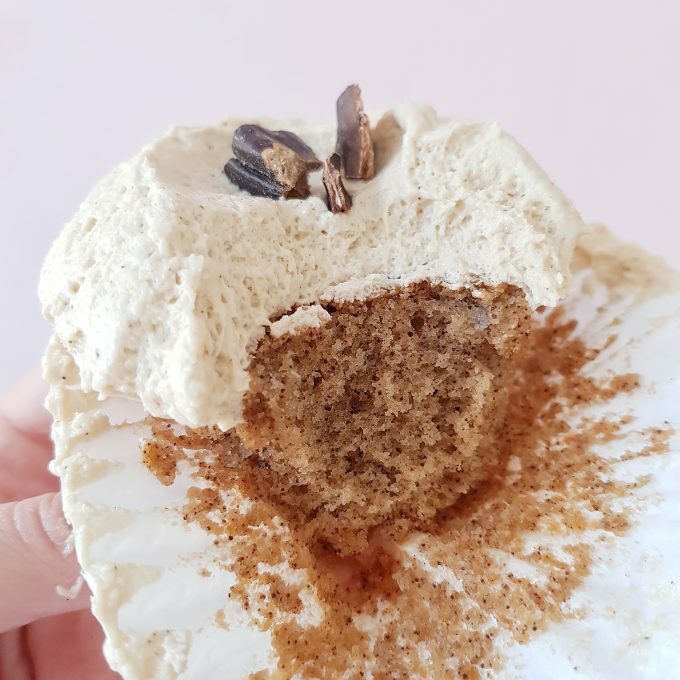 It seals in the sponge, preventing it from drying out and, as its name suggests, it catches all of the crumbs from the sponge and prevents a barrier so that your final icing will be perfectly clean and crumb free. 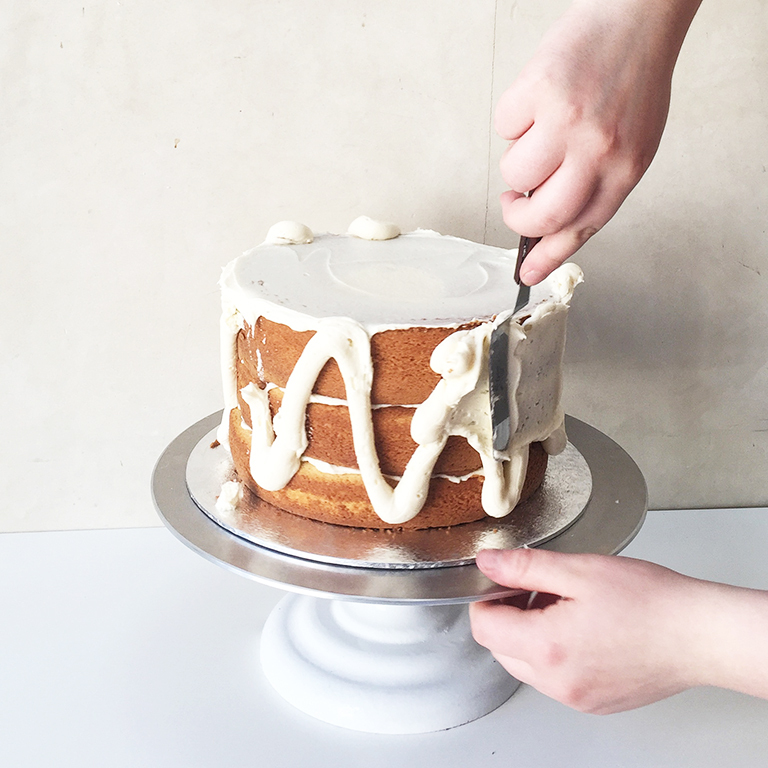 This process is easier if you have a turn table but don’t worry if not — you can turn the cake around as you go, it just takes a little more time. 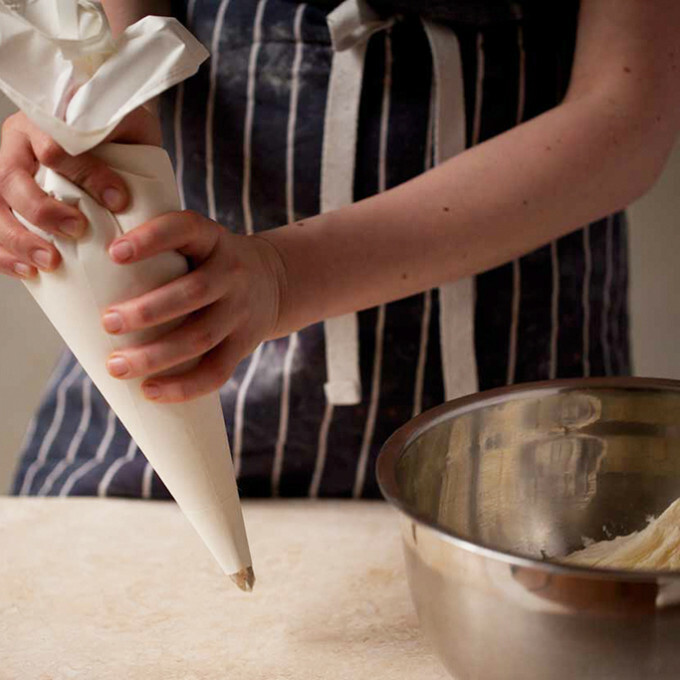 Firstly, pipe a small amount of buttercream onto your board or card and place the first sponge on top. This will secure your cake and make sure it doesn’t move or wobble. Pipe a thin layer of your icing on top of the sponge and spread it to the edges. 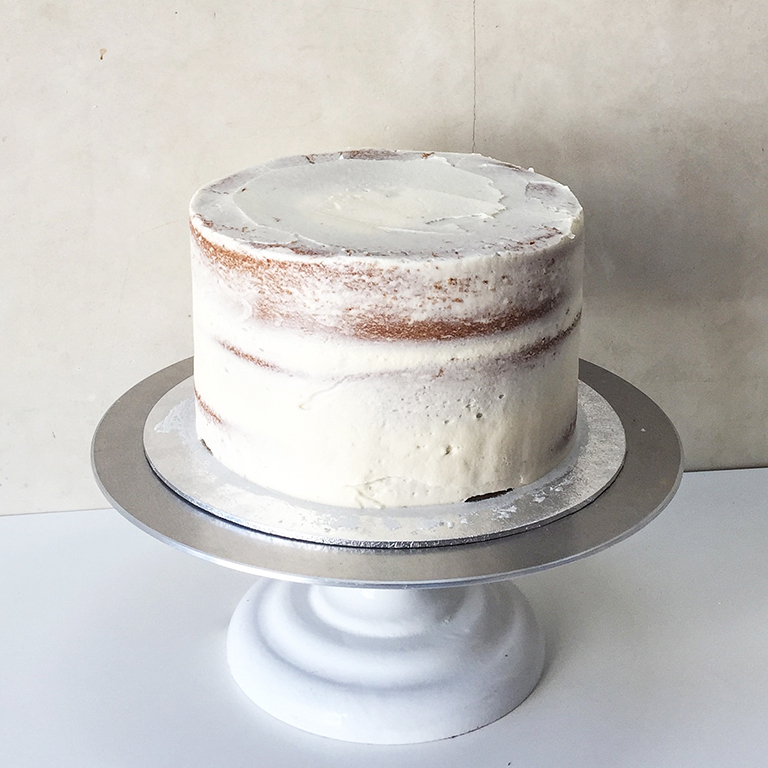 Repeat this process with the rest of your sponges, making sure that all of the layers are stacked evenly to get your cake as straight as possible. Don’t worry if your sponges are slightly uneven, you can fill in any gaps with extra buttercream. Pipe lines of buttercream around the cake. I find it easier to pipe in a zig zag pattern as it spreads out more evenly. 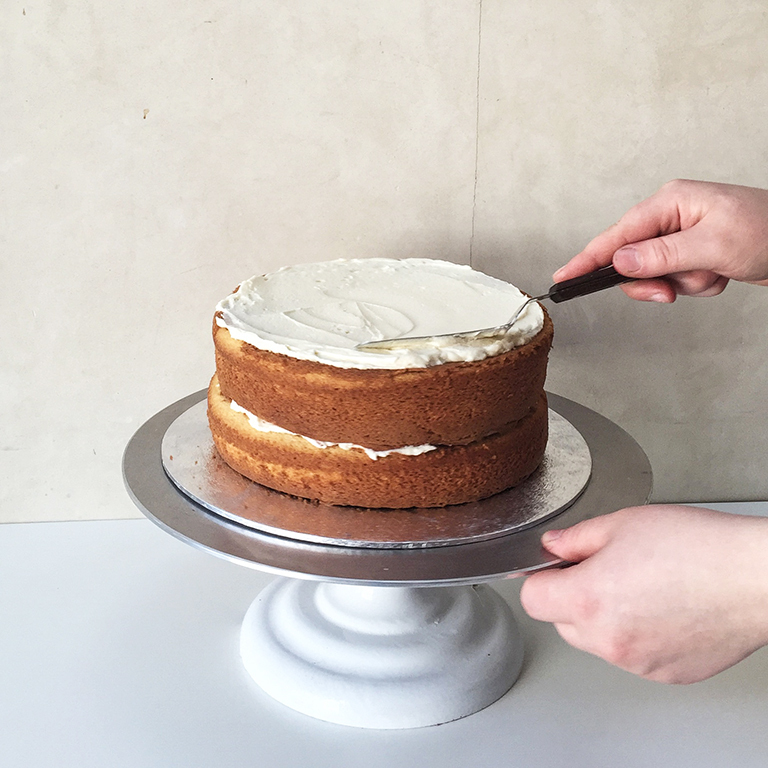 Using a palette knife, spread it out across the cake – you can go from top to bottom or bottom to top, whatever feels best for you. Make sure the cake is completely covered. 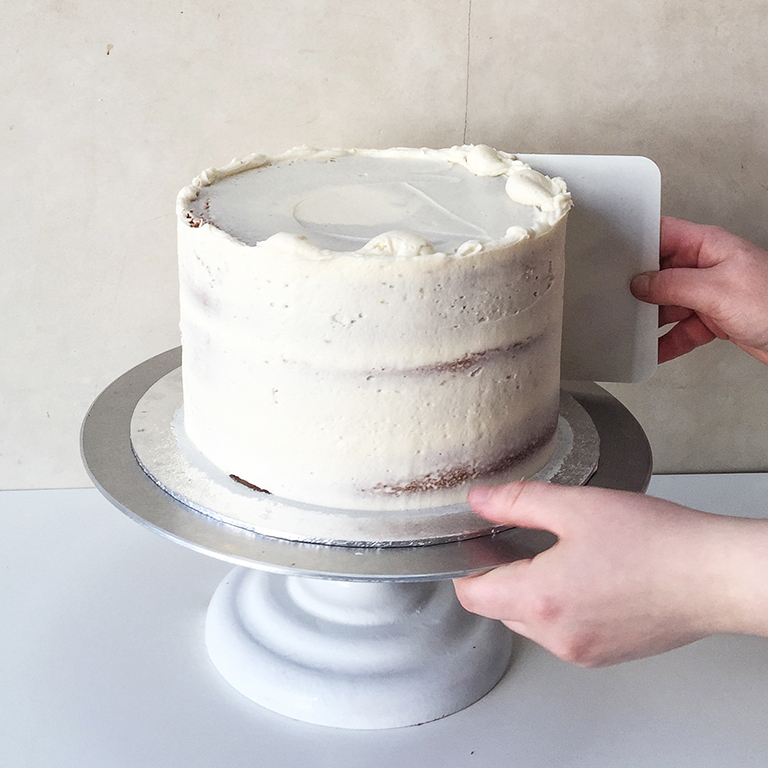 Now you need to neaten up the cake; place your scraper so it is only just touching the edge and carefully pull it all the way around the cake to get a uniform finish. You don’t want to remove lots of the buttercream here, just even it out. To finish, use your palette knife to remove any excess off the top by bringing it from the edge to the middle. It doesn’t have to look perfect as you will be covering it up with another layer. Chill the cake in the fridge or freezer until the crumb coat has set hard. 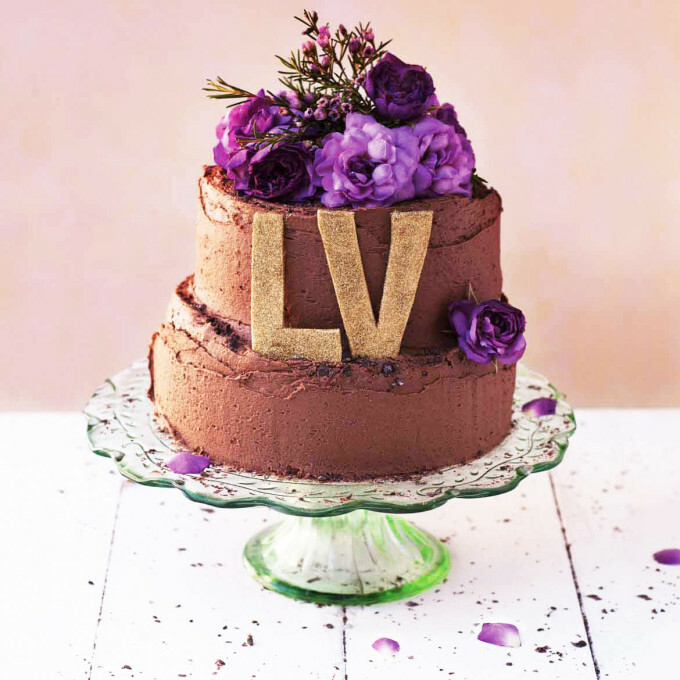 TIP: If you are making an extra large or tiered cake, you can strengthen the structure by placing pieces of dowel through the layers. Just make sure you cut it to the right size.